FACULTY OF BIOFARMING provides studies aimed at acquiring knowledge and skills necessary for profitable agricultural production that is environmentally friendly and based on exploiting renewable natural resources, preserving the appearance of rural areas and cultural heritage. Establishing development processes on the concept of sustainable agriculture is the method of harmonising the way we use and exploit natural resources, biodiversity and energy in accordance with their specificities. By establishing and implementing the concept of sustainable development, long-term and stable foundations are provided for the rational use of non-renewable resources in agriculture and the promotion of the extended renewal and protection of renewable natural resources in the function of the growth of highly productive agricultural production and protection of the global environment. On these grounds it is possible to launch lasting initiatives and possibilities for the enhancement and expansion of agricultural products production with biological quality characteristics. Based on science, FACULTY OF BIOFARMING has become a leader in integrated research and education that is harmonized with the Bologna process, which enables students to become involved in the European Higher Education and provides countrywide recognizable undergraduate and graduate study programmes in agricultural education. Students of FACULTY OF BIOFARMING will have an opportunity to attend lectures of eminent domestic and foreign professors, and to have professional practice on farms, as well as in scientific institutions and companies in Serbia. Students who acquire bachelor degree are qualified to organize all types of organic and conventional agricultural production. 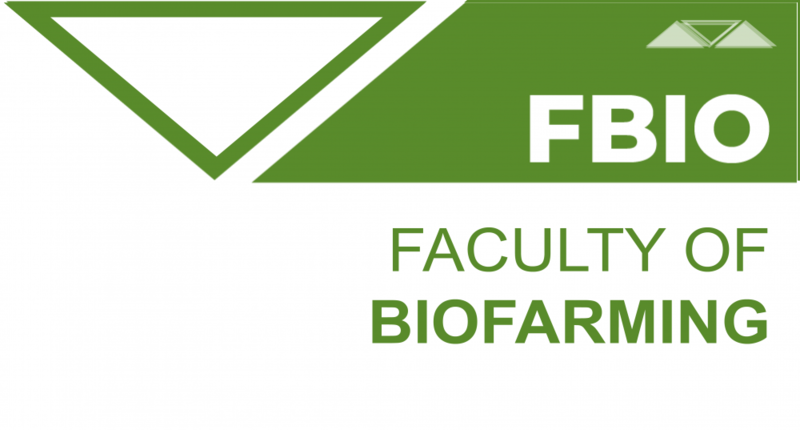 FACULTY OF BIOFARMING offers to the students unique professional and practical skills, and excellent scientific and theoretical basis for continuation of their education on master academic and specialist studies in the field of animal and plant agricultural production. The graduates awarded with Bachelor in Agricultural Engineering gain knowledge that is compatible with the education acquired at similar European and world agricultural faculties and universities. The duration of the undergraduate academic studies in agriculture is four years – eight semesters. The volume of studies: 240 ECTS.